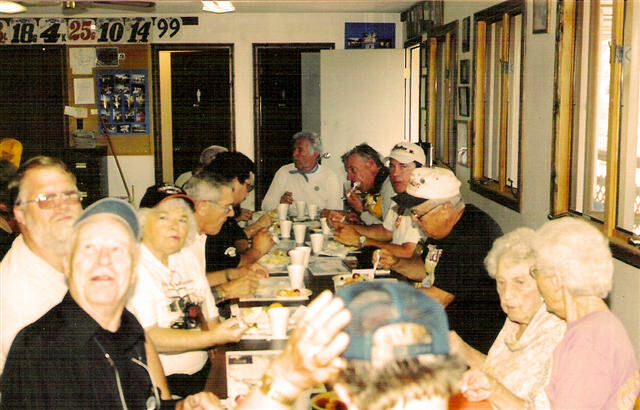 Each year during the "Black Hills Classic - Sturgis Rally & Races" the attending members of the WPFTA get together for breakfast and to catch up with all the latest news. The evenings are spent watching races at the Jackpine Gypsies Short Track. A great time is had by all and we hope to have you join us this year. The White Plate Breakfast will be on Thursday Aug 12th,2010 @ 8:00am at the Boulder Canyon Convention Center (Exit 30) right next to the Holiday Express in Sturgis. There will be an all you can eat buffet......scrambled eggs, sausage,,biscuits, gravy,,cinnamon rolls, cold cereal, fruit, yogurt, muffins, bagels, variety of breads, juice, milk, coffee. See you there!